The Children’s Guild, Inc. serves special education students in grades K-12. Each classroom is equipped with technology that enables access to supplemental programs, online curriculum and research. The Guild stresses parental involvement, as parents take part in an orientation, receive regular contact from the education team, and are provided opportunities to be involved in parent activities. Programs are available for children with autism, multiple disabilities, intellectual disability and emotional disability. A School to Work program is provided that offers students ages 14 -21 a non-graded certificate program. The autism program uses a highly structured classroom environment known as the TEACCH model and regularly scheduled daily activities. The educational program is aligned with the Maryland College and Career Readiness standards and DCPS Common Core State standards and delivered through a project based learning approach. The classroom team consists of certified special education teachers, social workers, related service providers and therapeutic behavior aides. Mental health and behavioral specialists oversee crisis management. Individual, group and family counseling are available per the child’s IEP. A transition program is available to assist students with exploration of vocational/career opportunities and connection with community resources after discharge. Students who are at risk of regression during the summer attend an extended school year program through the IEP process. Speech/language therapy, psychiatric care, school health services, social work, occupational therapy, physical therapy, transition services, behavior management, crisis intervention, medical management, physical education, art, music. 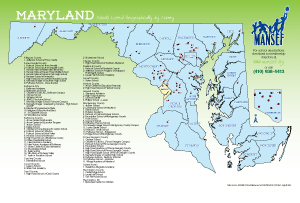 © 2016 Maryland Association of Nonpublic Special Education Facilities. All rights reserved. Disclaimer & Privacy.